Gordon O. Hayes, who was first cook and supply sergeant with Company 2754 when it was transferred to Camp NP-2 (Badlands), reported that the new camp was located about 20 to 22 miles by road southwest of Wall on the south side of the gravel road leading to Scenic, about 1/4 to 1/2 mile after crossing a creek and emerging from the breaks. He said the camp was 10 to 12 miles south and a little east of Wasta, and there was a farm house about a mile northwest of camp. 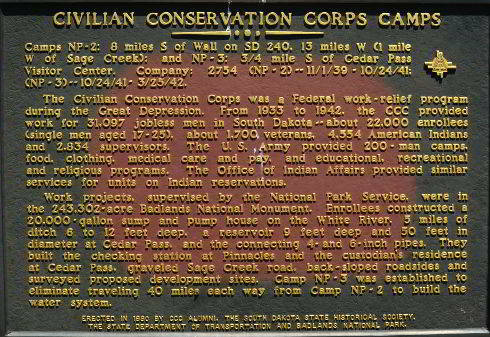 The camp was west of Sage Creek on the SE 1/4 of section 34, T 1S, R 14E-- a site 15 miles southwest of Wall, 11 miles due south of Wasta, and diagonally across the section from a farm house. 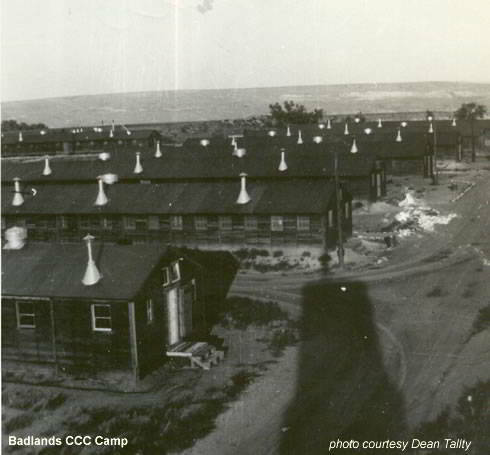 Hayes, who was discharged in September 1940 and worked at Cedar Pass during the summer of 1941, reported that Camp Badlands had been moved during his absence to a site near Interior about 2 miles south of the Cedar Pass in the southeast corner of the Badlands. 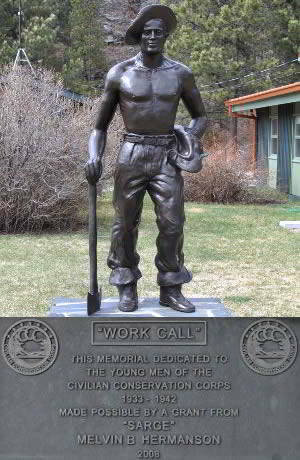 Monthly reports issued by the park superintendent stated that the army used the entire company for the month of November 1940 to construct Camp NP-2. In December the men back-sloped Badlands roads. A survey was made for new roads and proposals were drawn the development of development of monument headquarters and the obliteration some old roads.